Every bodily and cellular process requires minerals to function. As a result, mineral deficiencies can impact a huge number of your body’s functions, including blood pressure, weight, depression, pain, and digestion. Minerals provide a unique function, as each has a specific and unique ‘charge’ that allows your body to catalyze various processes. For example, iron is used to bind oxygen and move it around the body. The minerals that your body needs can be divided into 2 categories: major minerals and trace minerals. So what is the difference between major and trace minerals? It’s simple. You must consume 100 milligrams or more a day of major minerals, and far less of trace minerals. 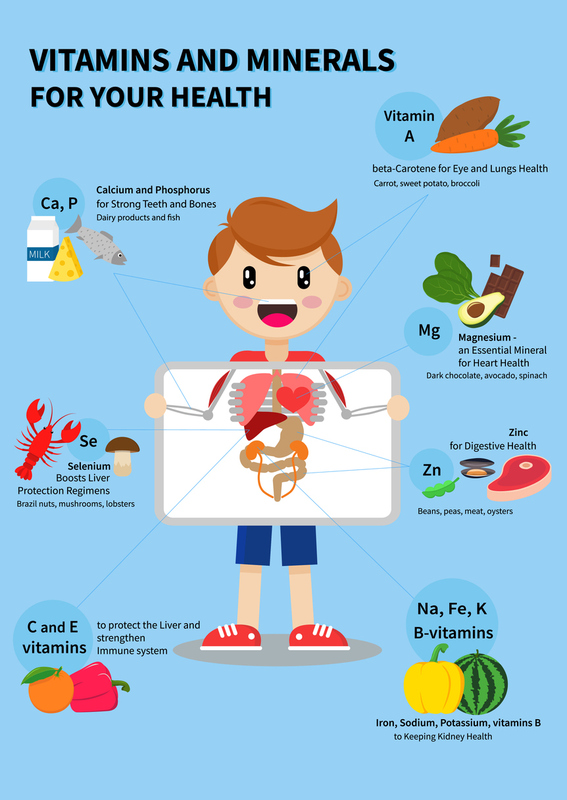 Some examples of major minerals include calcium, potassium, and sodium. Examples of trace minerals include iron, zinc, copper, and iodine. Below, we have compiled a list of the 3 most common trace mineral deficiencies and their symptoms. If you are experiencing these symptoms, consult your doctor and consider taking a supplement. · Iron – This is a very common deficiency, particularly in women. Most notably, iron is essential for oxygen movement in the body, but it serves a variety of functions. Symptoms of iron deficiency include fatigue, heart palpitations, shortness of breath, brittle nails, and pale skin. · Iodine – This mineral is necessary for production of thyroid hormones. Iodine deficiency can result in thyroid enlargement, hyperthyroidism, and goiter. Symptoms include dry skin, slowed heart rate, and poor memory. Iodine deficiencies can also lead to pregnancy problems. · Zinc – This deficiency is less common, but can lead to major health problems. Zinc is vital to your immune system and healing function, as well as your eyesight. Symptoms of zinc deficiency include loss of appetite, decreased immunity, apathy, diarrhea, and hair loss. The above deficiencies may sound scary. Don’t worry though! It is relatively easy to consume appropriate amounts of trace minerals. Most all-in-one vitamin supplements will contain these, and you can also consume supplements that target minerals or trace minerals. Furthermore, a well-rounded healthy diet will also ensure you are receiving all the nutrients you need. Iron can be found in animal foods, such as red meats and fish, as well as lentils, beans and spinach. You can find high amounts of zinc in red meats, legumes, nuts, and shellfish. Iodine can be found in iodized salt, cod, dairy products, and seaweed.